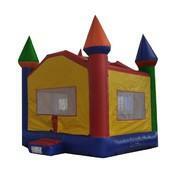 Bounce Houses are one of the great American traditions for event entertainment. These colorful inflatables are loved by all ages and have the ability to entertain for hours with a spirited, healthy activity. 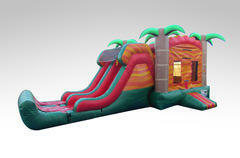 UFO Party Rentals has a great selection of bouncer rentals for our New Hampshire customers and you can be assured your bounce house rental will arrive on time, cleaned & sanitized ready to work at your event. Browse the selections below and click the "More Info" link for more information and to make a reservation.